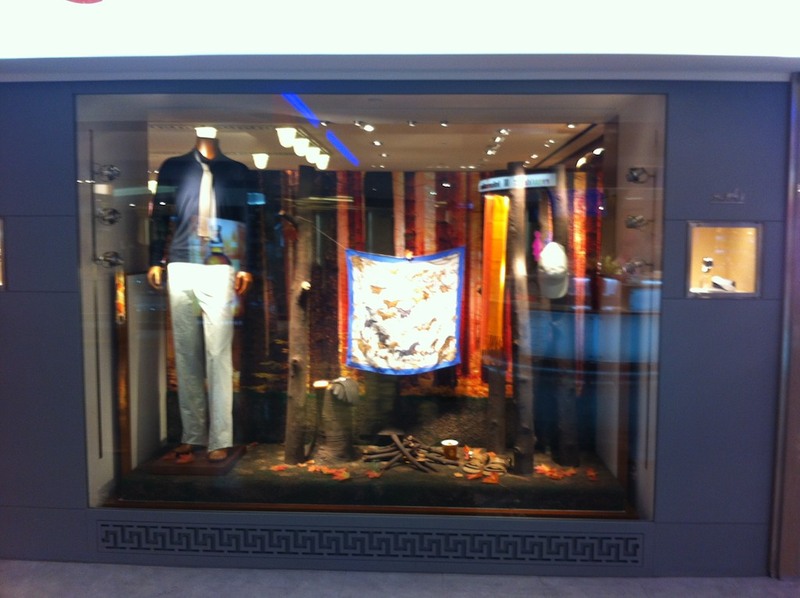 Another photos of Hermes window displays from Taiwan my special friend give me were taken at Taiwan International Airport. 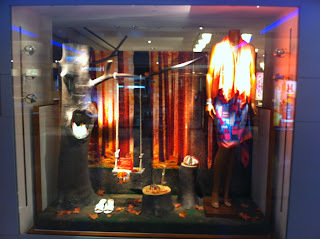 Here, Hermes takes us to camp in the deep of the woods. What outfits do we must wear? Of course Hermes is the answer. You can look at the female mannequins wear the colorful silk scarves as a dress. Her companion hangs a fabulous scarf on to the trees as if the rain had fallen and made it dry. This lively depiction of camping in the woods a la Hermes is a perfect suggestion for traveling, but of course you must pick the right woods or perhaps just small green garden.